HomeSweet Salvation: Can a New Discovery Help Conserve the Bees? Silver Nanoparticles for Cleaner Water? Sweet Salvation: Can a New Discovery Help Conserve the Bees? Scientific studies are designed to test hypotheses, such as that a new treatment will be more effective than a corresponding control. However, researchers should conduct their analyses with an eye to the possibility that there is something behind apparently positive results besides the variables they are to focus on. Luckily, a team of scientists in the news as of late were vigilant enough to spot that they were in just such a situation. The ramifications are that there may be a new treatment for honey bees that are affected by infestations of parasitic mites, which is thought to be a major factor in the global decline in bee populations. The presence of these pollinators is an important issue in the ecological and economical basis upon which humans survive and thrive; therefore, developing measures to protect bees should be a vital concern for all of us. Hopefully, this new breakthrough - however accidental - can help protect our favourite flying insects in the future. The team of researchers, working at the University of Hohenheim’s Apicultural State Institute, the company siTOOLs Biotech and the Bee Research Centre of the Bavarian Institute for Viticulture and Horticulture, were investigating new, RNA-based therapies for bees affected by the parasitic mites. These animals are of the species Varroa destructor and live by sucking haemolymph (the bee equivalent of blood) from their hosts. V. destructor has been reported to have evolved to live in close conjunction with bees in their hives, being able for example to breed inside sealed cells for the incubation of non-royal male and female bees. The mites affect bee survival by directly depriving them of haemolymph, and also by passing on viruses they carry by biting the insects. V. destructor parasitism is a crucial threat not only to honey-bee populations, but also to human civilisation. Bees function as both general and specific pollinators, which cumulatively represent up to 285 billion dollars of worth to the agricultural industry every year. Mite infestation in these insects (known as varrosis in this case) initially arose in the species Apis cerana, but has also crossed over into Apis mellifera as well. It may be more prominent in high-density colonies such as those kept by humans, or that are curated by humans to maintain bee numbers. Therefore, improved breeding practices that discourage mite proliferation have been promoted by some researchers as a measure to help bees in these hive types. However, others maintain that chemical interventions are also necessary to control V. destructor numbers and activity. Unfortunately, the species have become resistant to most known miticidal drugs (e.g. amitraz, coumaphos or pyrethoids) due to a lack of innovation in this area over the last few decades. Accordingly, apicological science has moved on to more biochemical directions in the battle against varrosis. These include RNAi strategies that target vital sequences in the V. destructor genome. The vehicle for this double-stranded RNA is in fact often sugar-water, or something else the bees in question will readily ingest. Therefore, the RNA will be transferred to the mites, who then die off – in theory at least. A previous trial of this approach resulted in a reduction in mite numbers of as much as 60 percent over two months. Therefore, the team from Hohenheim set out to test another RNAi treatment, using dsRNA targeting different genes from the prior study over a different trial period this time. However, their findings led them to an effective anti-mite treatment of a completely divergent vein. The team prepared a treatment consisting of sucrose solution containing either dsRNA that could inactivate several important V. destructor genes, or the dsRNA that codes for green fluorescent protein (GFP) as a ‘generic’ control (i.e. as a gene that does not occur in bees or mites). They found that their ‘active’ treatment could eradicate mites “effectively” in one group of bees in three days, whereas the mortality of mites in another, similar group left untreated was less than 5 percent. However, the researchers also found that bees exposed to the ‘GFP’ solution exhibited a loss of mites described as “identical” to that in the ‘active treatment’ group. Therefore, it was reasonable to assume that the effect on mites was not associated with the RNAi strategy, but with another ingredient of the solution fed to the bees. The most likely candidate was lithium chloride (LiCl), which was used at high concentrations to prepare the dsRNA strands. The team found that washing the dsRNA of this LiCl and feeding this to bees resulted in diminished effects on the mites in question. However, when bees were fed a solution containing LiCl at the concentration found in the original active treatment (25mM), the miticidal effects were the same as in the first stage of the study. The team then tested LiCl as a miticide at various concentrations, and found that it could produce significant increases in mite death, even at relatively low levels (e.g. 2mM). Treatment with LiCl was associated with mite mortality of up to 96 percent, compared to an increase of about 9 percent in controls. Therefore, the team at Hohenheim now recommend lithium chloride as a new chemical therapy for bees affected by varrosis. This study, published recently in Scientific Reports, appears to document the inadvertent discovery of a relatively simple, inexpensive solution to the problem of decline in bees. On the other hand, some other apiologists have responded to this breakthrough by claiming that the delivery of LiCl into cultivated hives would be problematic, not merely because it is otherwise untested. Professor Francis Ratnieks of the University of Sussex also pointed out that a single dose of oxalic acid can kill up to 97 percent of mites in a single hive. On the other hand, this treatment may not be completely effective all year around, whereas the Hohenheim team are touting a proposed LiCl treatment as effective for both wild and cultivated bees. 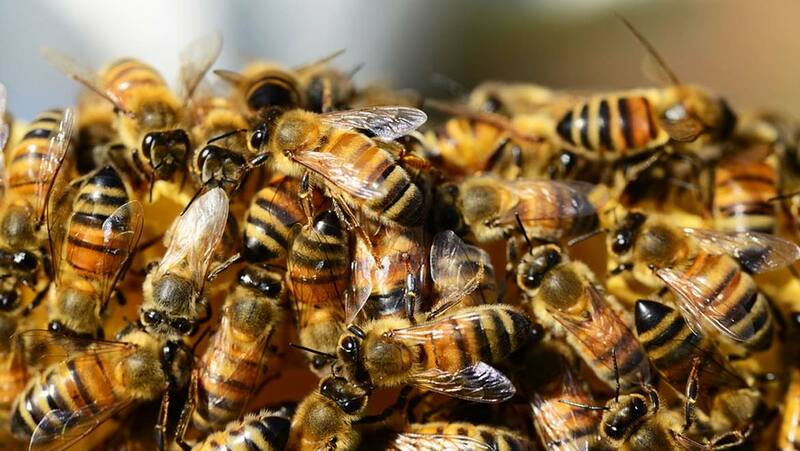 As they are currently liaising with companies to put their new strategy on the market, we may be in a position to see if this new strategy can salvage bee colonies in the near future. Ziegelmann B, Abele E, Hannus S, Beitzinger M, Berg S, Rosenkranz P. Lithium chloride effectively kills the honey bee parasite Varroa destructor by a systemic mode of action. Scientific Reports. 2018;8(1):683.